Traffic congestion, long drop-off lines, and safety issues make getting to and from school and college classes a challenge. Know your options to make your school route easier and more sustainable. Capital Metro – All University of Texas students, faculty, and staff can ride free on Capital Metro buses and trains by swiping a valid UT photo ID card upon boarding. UT Shuttle System - The UT Shuttle System is one of the largest university shuttle systems in the country, with 10 routes to provide an easy and cost-effective way to access the UT campus. UT students, faculty, and staff may ride the shuttles at no cost with a valid UT photo ID. E-Bus – The Entertainment Bus, or E-Bus, is a service provided by Capital Metro in conjunction with Parking and Transportation Services and the Austin Police Department. 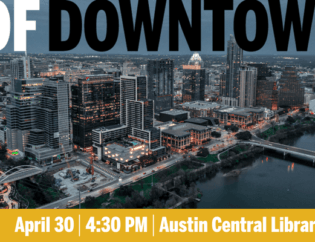 It provides UT students, faculty, and staff with a safe ride from UT, west campus, and Riverside areas to Austin’s downtown entertainment district during weekend evenings. BikeUT – Bicycling is a significant component of the university’s plan to reduce local traffic congestion and air pollution. All bicycles parking on campus must be registered with UT’s Parking and Transportation Services. The Green Pass – This pass offers unlimited rides to class, work, and anywhere else on the Capital Metro transit system for one semester for any Austin Community College (ACC) students with a valid school ID. ACC’s Sustainable Options – Austin Community College encourages students and employees to go green with Waze Carpool, electric vehicle charging stations, limited-time promotions on car sharing services Zipcar and Car2go, and preferred parking for “Green Cars” with cleaner emissions. Texas State University – The Bobcat Shuttle is a bus service for all Texas State students, faculty, staff, and the public. The Bike Cave sells used bicycles that have been repaired and inspected by their techs, and the experts can teach you how to repair and cycle safely in San Marcos. The Bobcat Bobbies service provide walking escorts who are trained by University Police Department Security Services officers to ensure safety across campus. Yellow School Bus – Avoid driving kids to school with this safe, reliable option. If you live over two miles away from your school, you qualify to ride the bus. Visit the Austin ISD Transportation Dept. for more options. SchoolPools – Students can carpool with parents who share the driving or associated driving costs to transport a group of kids to and from school. Walking School Bus – Kids can walk together to school, and parents can volunteer to be “bus drivers,” or walking escorts. Bike Buddies – Riding bicycles together to school is a fun and healthy way for students who live nearby to go to and from school. Capital Metro – Kids ride free on all Capital Metro services including those 5 and younger (must be accompanied by an adult), K-12 students with a valid ID, and MetroAccess clients 19 and younger.